Essentially self taught, I owe the start of my culinary exploits to excellent home economics teaching at school which gave me the curiosity and confidence to try new things, most of which have been learned from books and my own trial and error. Blogs and social media have added a recent new and exciting dimension to my explorations and I’ll post links to my discoveries in the hope that you’ll share yours. I bake to relax and usually give most of my baked goods away (although I have a sneaky taste first!). These kinds of foods are special- they can represent nurture, creativity and a simple desire to eat something tasty and at times a little bit naughty in health terms. My philosophy of baking is simple: you can’t eat baked goods every meal, so when you do, make them yourself. That way you get exactly what you and the people you care for want to eat: 100% of the pleasure and no guilt (well almost none!). Food to eat as a treat should be the best it can be and exactly to your taste so why buy mass produced versions when you can create your own? 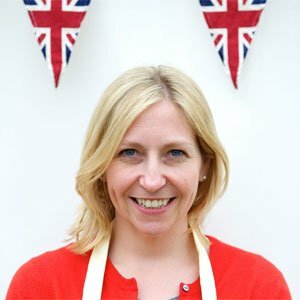 I started it due to my involvement with GBBO series 3 as a way of responding to comments and posting background stories to the competition and filming. Please feel free to drop me a note here or on twitter. Happy Baking and I hope you enjoy the blog. PS If you refer to this content with any other medium I’d appreciate it if you credit me and link back to the blog. All recipes are mine except where indicated in the blog and as such are my intellectual property. Contact me directly if you would like permission to print or use them elsewhere. Thanks.